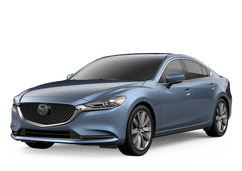 Between Mazda and our dealership, Earnhardt Mazda Las Vegas always has special offers that you can take advantage of right here in Las Vegas. With our vast Certified Pre-owned Mazda inventory at Earnhardt Mazda Las Vegas, you can get a pre-owned Mazda with all the benefits of a factory warranty. Getting the service that your Mazda needs is easy when you count on the knowledgeable and experienced service team at Earnhardt Mazda Las Vegas.